Most height seekers know the story about how astronauts get taller in space. The effect of space can be mimicked by inversion(Body Champ IT8070 Inversion Therapy Table ). Microgravity seems to have an effect on height above and beyond that of sleep. Sleep is an important part of growth. Weight loaded chicks who had sustained loading with no release from load had a shorter stature. Decompression may be an important part of height growth. Think about the physics of growing taller via the growth plate. 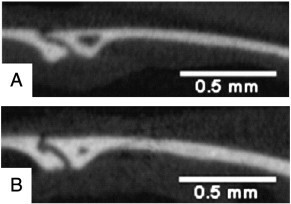 How can a bunch of hypertrophying chondrocytes push away two halves of a bone resulting in a longer bone? It must need the period of sleep to stretch out the bone. Perhaps the extra decompression provided by microgravity can result in bonus height growth. Intermittent microgravity such as that by an inversion table(and maybe even something like a decline bench) may not only give you temporary height but may help with chondrogenic differentiation. And temporary height can be useful in a situation where you need to meet a height requirement. How does microgravity affect chondrogenesis and chondrogenic differentiation and how can we use this to grow taller both via LSJL and during natural development? Differentiation of mesenchymal stem cells towards a nucleus pulposus-like phenotype utilizing simulated microgravity In vitro. "Mesenchymal stem cells (MSCs) were induced into a nucleus pulposus-like phenotype utilizing simulated microgravity in vitro in order to establish a new cell-based tissue engineering treatment for intervertebral disc degeneration. For induction of a nucleus pulposus-like phenotype, MSCs were cultured in simulated microgravity in a chemically defined medium supplemented with 0 (experimental group) and 10 ng/mL (positive control group) of transforming growth factor β1 (TGF-β1). MSCs cultured under conventional condition without TGF-β1 served as blank control group. On the day 3 of culture, cellular proliferation was determined by WST-8 assay. Differentiation markers were evaluated by histology and reverse transcriptase-polymerase chain reaction (RT-PCR). TGF-β1 slightly promoted the proliferation of MSCs. The collagen and proteoglycans were detected in both groups after culture for 7 days[Microgravity resulted in collagen and proteoglycan expression even without TGF-Beta1, even though this study is analyzing spinal discs any expression of chondrogenic markers will help us grow taller]. The accumulation of proteoglycans was markedly increased. The RT-PCR revealed that the gene expression of Sox-9, aggrecan and type II collagen, which were chondrocyte specific, was increased in MSCs cultured under simulated microgravity for 3 days. The ratio of proteoglycans/collagen in blank control group was 3.4-fold higher than positive control group, which denoted a nucleus pulposus-like phenotype differentiation. Spontaneous differentiation of MSCs towards a nucleus pulposus-like phenotype in simulated microgravity occurred." Now this study was not in the human body so the drawbacks of sustained microgravity could not be taken into account. Sustained microgravity in rats was shown to reduce the growth plate cell count in rats. The absence of TGF-Beta1 resulted in higher proteoglycan/collagen content than the control group with TGF-Beta1. TGF-Beta1 is produced by osteoblast cells in the bone. So, it's this TGF-Beta1 which is stimulated by loading that could be the difference between growth plate chondrocytes and articular chondrocytes(articular chondrocytes are surrounded by much less bone). Microgravity is very helpful in inducing chondrogenic differentiation. Intermittent microgravity could allow for the encouragement of a chondrogenic phenotype but still allow for the loading needed for the bone cells to secrete TGF-Beta1. How do already more mature chondrocytes respond to microgravity? Characterization of human chondrocytes exposed to simulated microgravity. "We characterized human chondrocytes incubated on a random positioning machine (RPM) to simulate microgravity (microg). When cultured in simulated microg, human chondrocytes start forming 3D cell assemblies within 5 days. After 24h, we could not detect caspase-3, Fas, p53 or Bcl-2 proteins in these cells, Annexin V flow cytometry, however, revealed 18% of apoptotic chondrocytes in 1g cultures but only 10% on the RPM[microgravity reduces chondrocyte apoptosis]. Both rates of apoptosis were not changed, when vascular endothelial growth factor (VEGF) or basic fibroblast growth factor (bFGF) was added. 24 h, simulated microgravity also had significantly decreased collagen type I and X, but did not change collagen type IV and laminin, while collagen type II, chondroitin sulfate and aggrecan were elevated as compared with 1g controls[microgravity downregulated the bone marker type I collagen and the terminal differentiation marker type X collagen and upregulated hyaline cartilage marker type II collagen and proteoglycans]. The production of collagen type II/X, chondroitin sulfate and aggrecan was modified, when external bFGF or VEGF had been applied. Chondrocytes exposed to simulated microg seem to change their extracellular matrix production behavior, while they rearrange their cytoskeletal proteins prior to forming 3D aggregates." Microgravity may help chondrocytes aggregate and be more growth plate like. It allows them to rearrange their cytoskeleton proteins which they could possibly not due under normal gravity. So intermittent microgravity could allow chondrocytes to do things that they can't do under normal gravity helping you to grow taller. The RPM machine may not be sustained microgravity and may only be intermittent so that could be what leads to the pure positive benefits. "During chondrogenic induction, MSCs combined with polyglycolic acid (PGA) were cultured by static culture or microgravity rotating culture and chondrocyte formation was confirmed by toluidine blue staining. Furthermore, the mRNA and protein expressions of a specific cartilage extracellular matrix protein (collagen type II and Aggrecan) were evaluated by real-time RT-PCR and western blot, respectively. Toluidine blue staining indicated the OD values of proteoglycans semi-determination were higher in the microgravity rotating culture group than the static culture group. Following chondrogenic induction, mRNA and proteins of collagen type II and Aggrecan were more significantly expressed in cells of the microgravity rotating culture group compared with the controls." "Gravity in the culture system usually results in the cells gathering in the bottom or out of the culture system rather than in the central vector. "<-This could be a problem in the body as well. "The lack of the cells in the center directly affected the growth of chondroid tissue because the transformation of MSCs to cartilage was closely related to the cell density"<-So occasional bouts of microgravity may help cells get to where they need to go and not forced to the bottom by gravity. Neocartilage formation in 1 g, simulated, and microgravity environments: implications for tissue engineering. "Porcine chondrocytes were seeded (100 x 10(6)/mL) into cylindrical culture chambers (n = 8) and cultured in the following environments: (i) microgravity during the Flight 7S (Cervantes mission) on the International Space Station (ISS), (ii) simulated microgravity in a random positioning machine (RPM), and (iii) normal gravity (1 g, control). After 16 days, each neocartilage tissue was processed for histology, immunohistochemistry, quantitative real-time reverse transcriptase-polymerase chain reaction, and histomorphometric analysis. Weaker extracellular matrix staining of ISS neocartilage tissue was noted compared with both Earth-cultivated tissues[sustainedness of microgravity or other confounding variables make spaceflight different than the random positioning machine]. Higher collagen II/I expression ratios were observed in ISS samples compared with control tissue. Conversely, higher aggrecan/versican gene expression profiles were seen in control 1 g samples compared with microgravity samples. Cell density produced in microgravity was significantly reduced compared with the normal gravity neocartilage tissues. Tissue cultivated on the RPM showed intermediate characteristics compared with ISS and 1 g conditions. These data indicate that the RPM system does not sustain microgravity. Although microgravity impacts the development of in vitro generated cartilage, simulated microgravity using the RPM may be a useful tool to produce cartilaginous tissue grafts with fewer cells." So the RPM system likely does not produce sustained microgravity and likely mimics the results we would spending some time on an inversion table. It's also possible however that the way the random positioning machine rotates cells could have another effect. Gravity, a regulation factor in the differentiation of rat bone marrow mesenchymal stem cells. "Rat BMSCs (rBMSCs) were cultured under hypergravity or simulated microgravity (SMG) conditions with or without inducement medium. The expression levels of the characteristic proteins were measured and analyzed using immunocytochemical, RT-PCR and Western-blot analyses. After treatment with 5-azacytidine and hypergravity, rBMSCs expressed more characteristic proteins of cardiomyocytes such as cTnT, GATA4 and beta-MHC; however, fewer such proteins were seen with SMG. After treating rBMSCs with osteogenic inducer and hypergravity, there were marked increases in the expression levels of ColIA1, Cbfa1 and ALP. Reverse results were obtained with SMG. rBMSCs treated with adipogenic inducer and SMG expressed greater levels of PPARgamma. Greater levels of Cbfa1- or cTnT-positive cells were observed under hypergravity without inducer, as shown by FACS analysis. These results indicate that hypergravity induces differentiation of rBMSCs into force-sensitive cells (cardiomyocytes and osteoblasts), whereas SMG induces force-insensitive cells (adipocytes). Taken together, we conclude that gravity is an important factor affecting the differentiation of rBMSCs; this provides a new avenue for mechanistic studies of stem cell differentiation and a new approach to obtain more committed differentiated or undifferentiated cells." "SMG led to collapse of microfilaments and the microtube cytoskeleton. In the present study, we provide the first evidence that HG increases organization of microfilament and microtubules, which may increase cell activity. "<-However this only happens after at least one day. If we are operating under the hypothesis that intermittent microgravity allows chondrocytes to perform tasks that it isn't normally able to do during bed rest then we have to determine an optimal duration to perform the inversion. Performing inversion is hard. Perhaps 5 minutes of inversion a day and you might have to break that into 30 second intervals. Fifteen days of microgravity causes growth in calvaria of mice. "Bone growth may occur in spaceflight as a response to skeletal unloading and head-ward fluid shifts. While unloading causes significant loss of bone mass and density in legs of animals exposed to microgravity, increased blood and interstitial fluid flows accompanying microgravity-induced fluid redistribution may elicit an opposite effect in the head. Seven 23-week-old, adult female wild-type C57BL/6 mice were randomly chosen for exposure to 15days of microgravity on the STS-131 mission, while eight female littermates served as ground controls. Upon mission completion, all 15 murine calvariae were imaged on a micro-computed tomography scanner. A standardized rectangular volume was placed on the parietal bones of each calvaria for analyses, and three parameters were determined to measure increased parietal bone volume: bone volume (BV), average cortical thickness (Ct.Th), and tissue mineral density (TMD). Microgravity exposure caused a statistically significant increase in BV of the spaceflight (SF) group compared to that of the ground control (GC) group, the mean BV±SD for the SF group was 1.904±0.842mm3, compared to 1.758±0.122mm3 for the GC group. Ct.Th demonstrated a trend of increase from 0.099±0.006mm in the GC group to 0.104±0.005mm in the SF group (p=0.12). TMD was similar between the two groups with 0.878±0.029g/cm3 for the GC group and 0.893±0.028g/cm3 for the SF group (p=0.31). Our results indicate that microgravity causes responsive changes in calvarial bones that do not normally bear weight. Fluid shifts alone accompanying microgravity may initiate bone adaptation independent of skeletal loading by tissue." "Calvaria from the spaceflight group showed an increase in cross-sectional thickness compared to calvaria from the ground control group. Bone also expanded into the cavity in the parietal bone adjacent to the suture." There might be some longitudinal growth there as the suture is what separates the two bones. Although I do not think the two bones are from the same mouse. "in addition to increased average thickness of the calvaria in microgravity, there probably was some bone expansion into air sinuses within the parietal bones" Does the expansion of the calvaria bone share the same properties as longitudinal bone growth? does the same thing apply to complete inversion hanging from a rack with boots? i think an alternative would be hanging upside down from the bars at a playground. It would serve a similar effect. Hanging from a rack with boots has the same effect. Hanging upside down at the jungle gym just doesn't really get your shin bones but I guess you can just stick your feet up in the air. Even using traction, to try to counteract the forces of gravity you are still not in a zero gravity environment. Maybe what's important is the different directions. The 6 degree downward head tilt study just compared the effects on height and not on individual chondrocytes. The spine suffers extra forces than individual chondrocytes of say the tibia. So we don't know if the inversion element has similar effects on chondrocytes has microgravity just on disc space. Like a random position machine moves the cells in all different positions. Normally, you are standing and you get gravitational forces that way. Then for a little bit you have inversion. Then you lie down and your cells now take gravity from that axis. Then you lay on your other side. Then lay on your stomach. Maybe exposing stem cells and chondrocytes to a variety of different gravitional forces rather than the traditional up-down forces can help in growing taller. In a random position machine the chondrocytes are still being exposed to forces. And the RPM has greater benefits than space microgravity. So maybe it's variety of gravitional directions rather than just a case of no gravity at all. Do you know why LSJLers' epiphysises are mainly growing in thickness? Is this like a stage before increase in length? So height can be gained via inversion if one has bad posture. For instance a person has a curved back they could gain the height lost due to there bad posture, and they should follow a inversion routine. No, everyone will gain "temporary" height from inversion due to enhanced proteoglycan synthesis which will increase disc space. Intermittent inversion could also have permanent results in conjunction with natural pubertal height gain or with LSJL. Now inversion doesn't totally element gravity but the best results were gotten from the random positioning machine which just changes constantly which part of the cell is exposed to gravity and not outer space. Inversion just exposes cells to gravity from a different angle than they are used to and that may lead to similar adaptations as a random position machine.